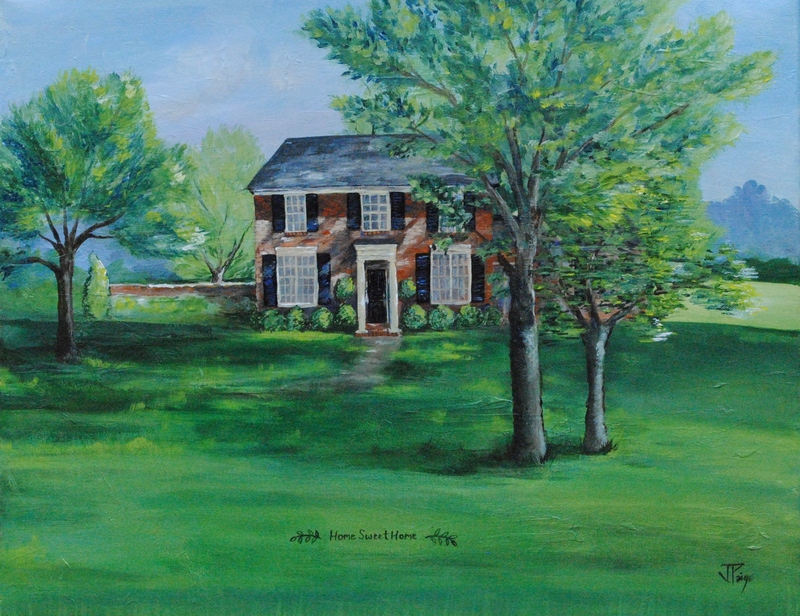 Acrylic on canvas, brick home. Thank you so much Lynn! Hope your friend cherishes her birthday gift! Oh my goodness. I am SO in love with this! I love how far away it is so you feel like you get a feeling of the property as a whole and not just the home itself. I still want to get one of our house too!